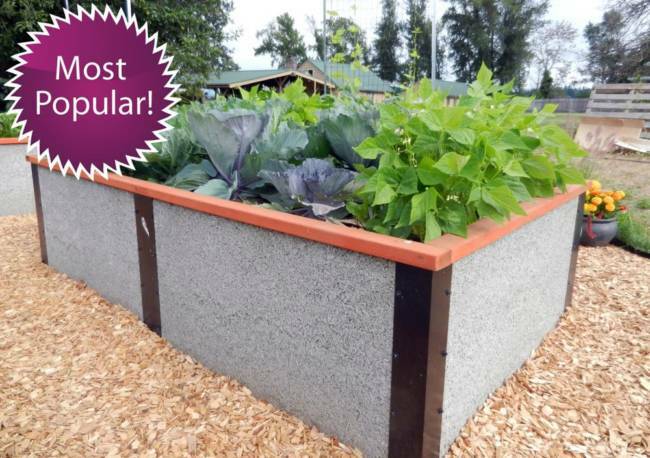 Order the best raised bed kit - the last you'll ever need. 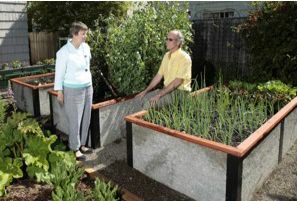 Durable GreenBed’s raised garden bed kits are the best choice for serious gardeners. 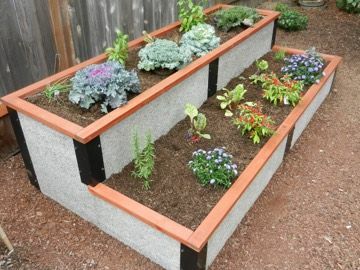 Easy to assemble, beautiful, one foot and two foot tall elevated garden beds made with our raised bed kit make gardening easy. 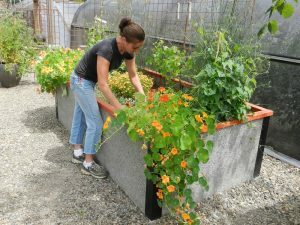 The breathable, non-toxic material improves garden yields, and the height makes tending your flowers or vegetables a breeze. 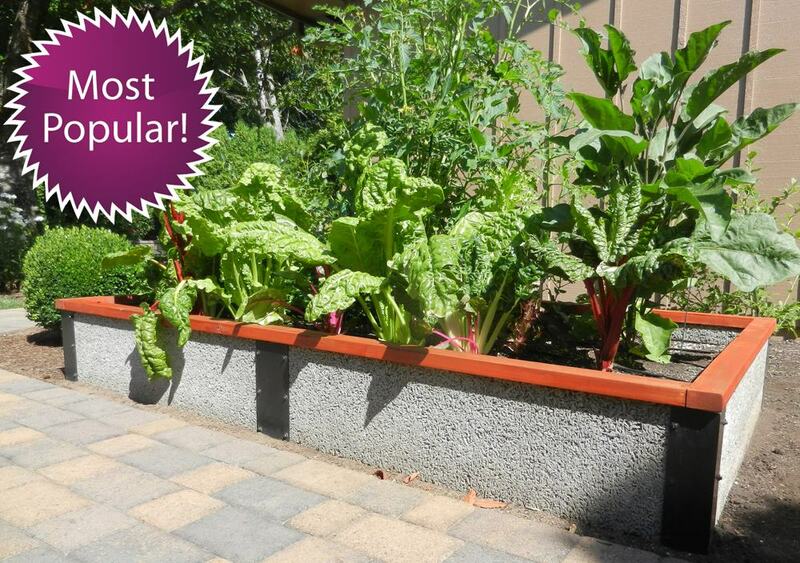 Durable GreenBed's patented, recycled, composite material lasts 25 years, looking great, year after year. Save time and energy. Focus on your garden, not repairing your decaying beds. Easy to Assemble, Non-toxic, using Recycled Materials. 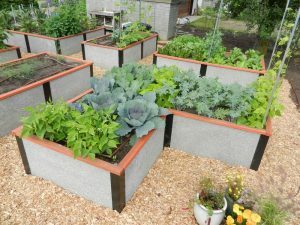 Save Money: Quality Durable raised bed kits will save you money. Although our prices may be a little higher, its worth it. With easier assembly, you'll have lower labor costs, and with higher yields, and no bed replacements, you'll save. Product DetailsOur most popular raised bed kit for space efficiency and high yields. Product DetailsOur longest tall bed with more growing area - perfect for no-bend gardening. Product DetailsFREE - Just pay $7.25 Shipping & Handling. 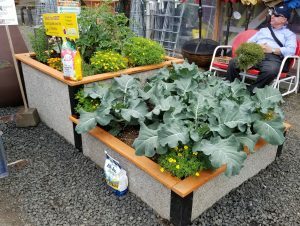 Durable GreenBed raised garden bed kits are the most beautiful and unique raised beds on the market today. 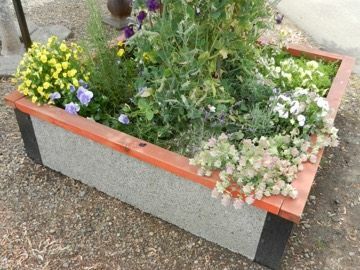 The Garden Bed / Planter box panels are made from a recycled processed wood-chip and cement composite called Faswall, a non toxic breathable material that is capable of withstanding extreme weather changes and conditions and still looks great. 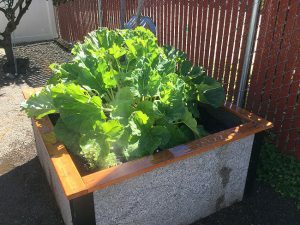 They are green, made from 100% nontoxic and highly recycled materials and will out perform any wood, plastic, or metal raised garden bed — and last up to 25 years or more! 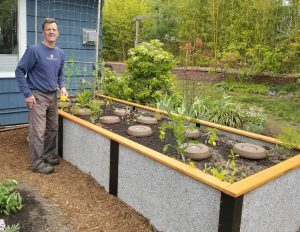 Most of our raised garden bed kits can be assembled in 60 minutes or less for a Lifetime of non-toxic Gardening. 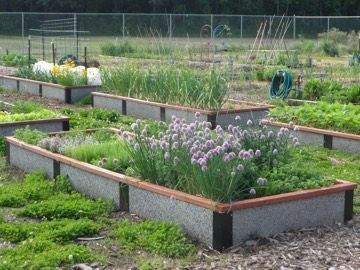 Along with being safe and strong, Durable GreenBed raised garden bed kits are a beautiful addition to any outdoor space. Multiple sizes and heights provide easy access. This means less effort digging, seeding and weeding and more time harvesting! 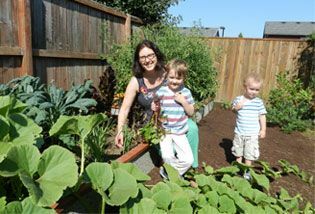 The NEW step and tiered beds are a wonderful way to involve children in gardening: lower level for kids and the upper level for the adults. 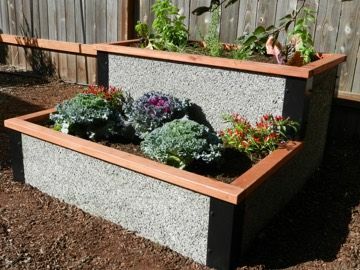 And our L-Shaped raised garden beds are perfect for any corner in your yard or garden, available 1’ or 2’ high. 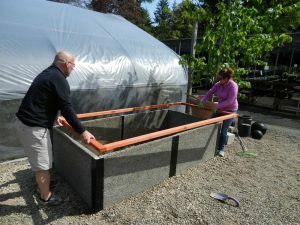 Need a special size or a custom design raised bed? Learn more here. Non Profit? 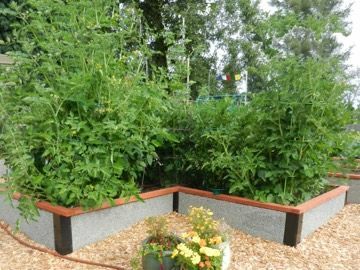 School Garden? Community Garden? We also have discounts for community gardens and other non-profit organizations. See our Non-Profits page for more details. 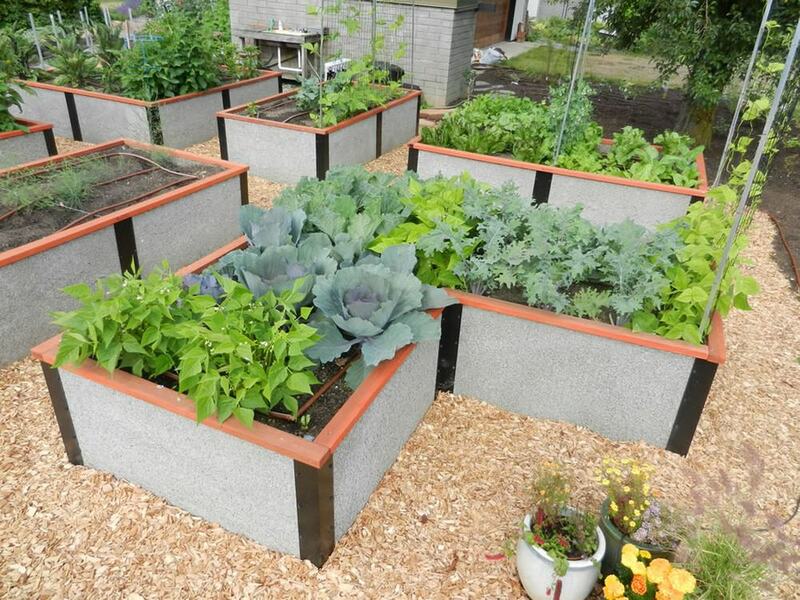 14 Reasons why you'll Love your Durable GreenBed Raised Bed Kit. Attractive: a favorite bed at Durable GreenBed for its striking and pleasing overall look. Stays looking nice, year after year. Our beds are a beautiful addition to any outdoor space and can be easily stained to match your home or color scheme. Multiple sizes and heights provide easy access and provide plenty of design options. Durable: 25 Year Life! 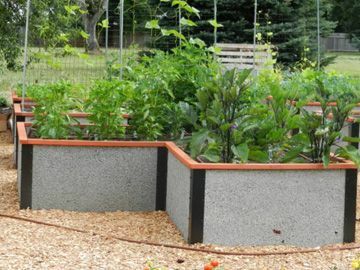 Composite Garden Bed Kit Material lasts without degrading. Most wood garden beds will begin to rot, crack, warp or splinter in a very short period of time and within 6 to 8 years you will need to replace them again. Plastic beds can crack under the sun in a short period as well. 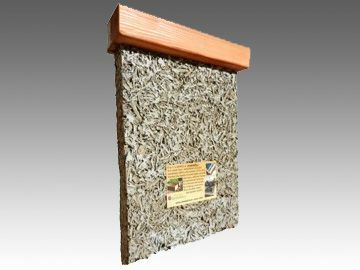 Recycled: Made from a 100% nontoxic woodchip/concrete composite using recycled materials. Easy to Assemble: Most kits can be assembled in an hour or less with simple tools. Customize your side panels with color. 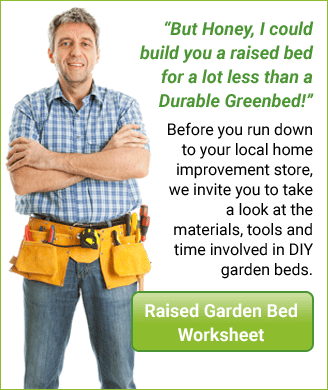 Want to customize your Durable GreenBeds to match your home or color scheme? Use a cement stain available at any home improvement center. 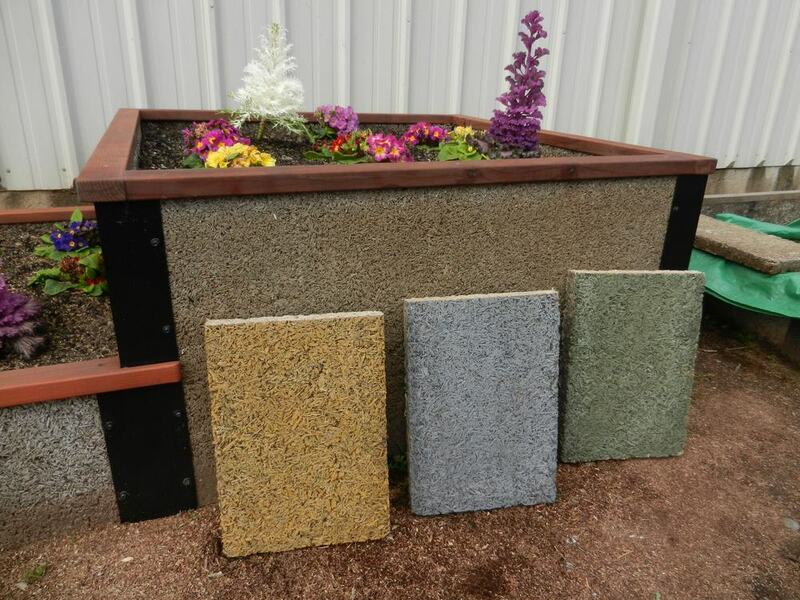 The pictured raised garden bed kit wall samples were done with the Behr brand of semi transparent cement stains.